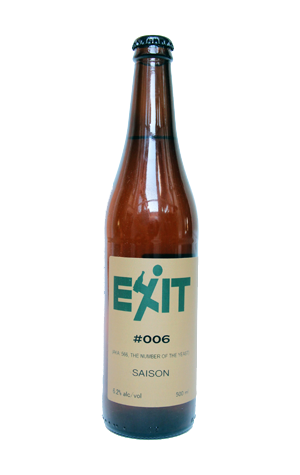 Having opened their account in fine style with a saison – a nod to the country that lit the fire that set them on the road to home brewing and, ultimately, Exit – Frase and Grum returned to it for #006. Pretty much everything remained the same other than a switch of hops. They'd been unable to get hold of Nelson Sauvin for #001 so used the unique Sorachi Ace instead. This time around, Nelson was available, but Galaxy wasn't. 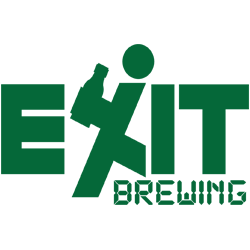 Either way, the beer lives up to, maybe even surpasses their debut, presenting leaner and no less complex. Within its honey colours, you'll find aromas of lemon, hay and a touch of the barnyard, while to taste there's a fair bit of citrus character in there. There's hints of lactic tartness too, while it finishes dry as anything and reasonably bitter too.